Princeton Council looks set to authorize a study that could pave the way for redevelopment of up to 9.74 acres of land belonging to the Princeton Theological Seminary. Council Resolution 18-218, which is on the agenda for the Council meeting this Monday, June 25, would instruct the Princeton Planning Board to study whether the Seminary properties, which are between Stockton Street and Mercer Street, ought to be designated as an ‘area in need of redevelopment’. The Princeton Theological Seminary’s financial problems are well known. According to reporting in ‘Town Topics’ last fall, the Seminary was planning to drastically cut student numbers to try to reduce costs. At that time, the possibility of ‘monetizing’ some of the Seminary properties was also discussed, but this is the first concrete sign that the town is working to enable redevelopment of the sites. 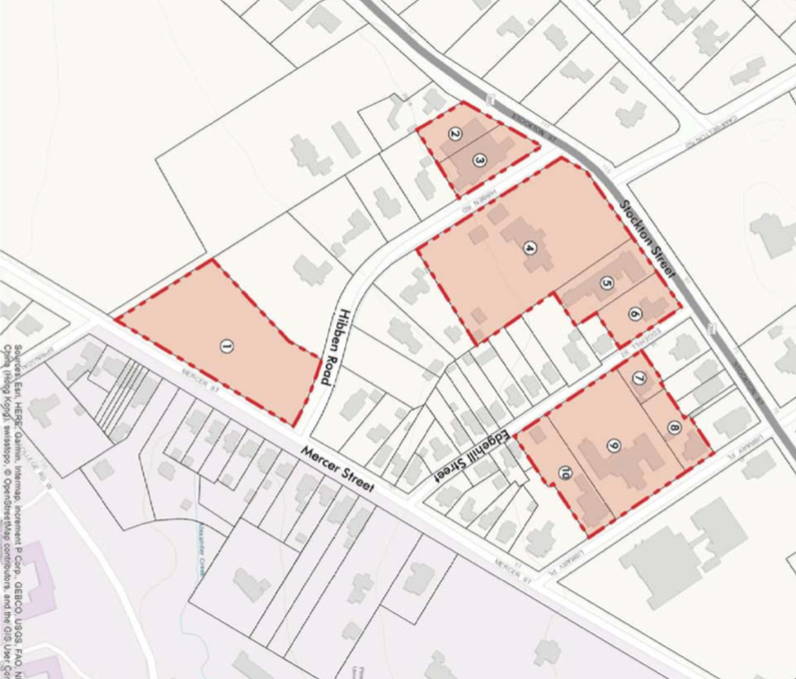 If the Planning Board agrees that the Seminary lands should form an ‘Area in Need of Redevelopment’, it would give the town substantial power under state legislation to create a site-specific plan for reuse of the site. This process was previously used to create the mixed-use buildings in downtown Princeton around ‘Hinds Plaza’, including the Spring Street Parking Garage. The Seminary properties could potentially be excellent sites for walkable housing, as they are very close to downtown Princeton. Adaptive reuse or replacement of the existing buildings would likely be controversial however, because this part of Princeton is home to many wealthy residents and is also part of the ‘Mercer Hill’ historic district. The Planning Board would be tasked with recording any opposition to a redevelopment plan as part of their study. This entry was posted in Downtown Vibrancy, planning, Princeton, Real estate, Smart Growth, Zoning and tagged Princeton, Redevelopment, smart growth. Bookmark the permalink.